After a day filled with fresh air and fun you’ll return to all the comforts of home at this spacious end unit townhouse. Watch the sun set over the mountains with a craft beer or glass of wine from the large wrap-around deck. Listen to your favorite playlist from your phone on the portable bluetooth speaker. Recent updates include brand new plush mattresses and luxury bedding in all bedrooms for a great nights sleep! The main level bedroom with king size bed and ensuite bathroom is super convenient with a walk-in shower and 2 separate vanities. The upstairs bedrooms share a full bathroom again with separate sink area for more than one person to easily share. Swimming pool and tennis courts within sight of the wrap-around deck. Walk to shops, restaurants, and breweries. Mix with the locals and find fresh ingredients for dinner at the Farmer's Market, just a short walk away on the Stowe Recreation Path. Recent updates to this end unit include new plush mattresses, luxury bedding, and front-loading washer/dryer on the main level. The journey to what would become Stowe Properties began with a vision – for their vintage chalet to become a place where vacationers could relax and experience for themselves what makes Vermont so special. 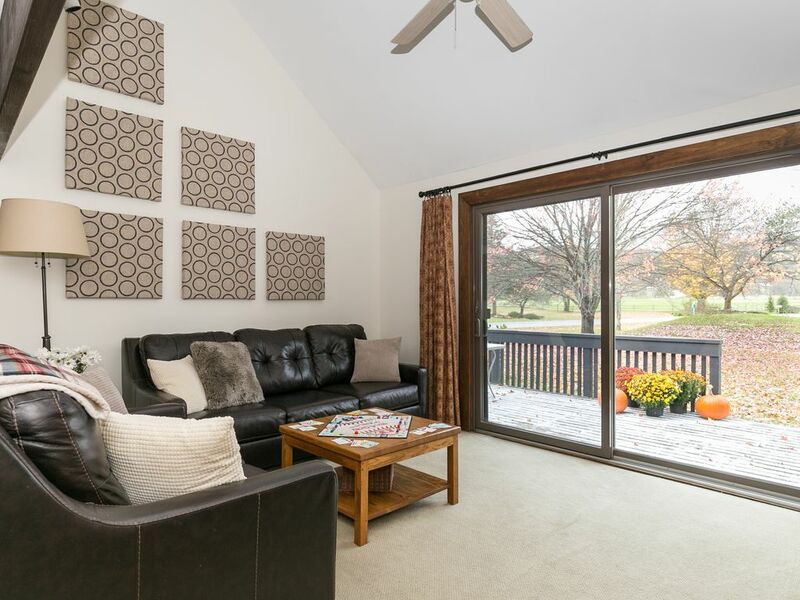 Don and Mary’s natural curiosity about providing a memorable guest experience snowballed over the years into a complete understanding of how to create a successful vacation rental. Their secret – maintaining high standards using their proven systems to mange other properties whose owners have the same goals. Love the idea of a vacation rental and thinking about becoming an owner yourself? Mary is a realtor and member of the team at Stowe Area Realty. She loves to share her local knowledge about what Stowe has to offer and talk about the pros and cons of owning your own investment property or second home. Fresh air and snow forts and leaf piles…growing up in Vermont Don and Mary had the privilege of experiencing the beauty of Mother Nature all year-round. They raised four sons in the great outdoors, and while the boys now live all around the United States each one still considers Vermont home. Just as the business their family continues to grow, and they now cherish every minute of “fun with nana and grandpa” visits in the Green Mountains of Vermont. Stonybrook's amenities are amazing! You'll find a sauna and ping pong table in the Stonybrook clubhouse and six outdoor courts for the tennis players in the group. The outdoor heated pool is just steps away from the spacious deck.